X-37B: How Much is Valet Parking Worth? 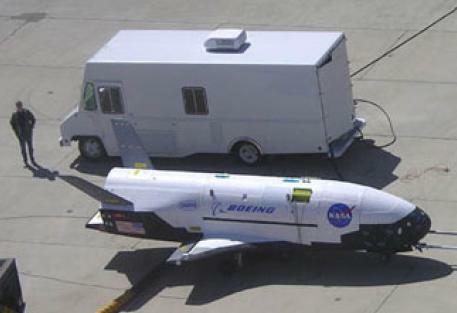 The U.S. “space plane” is in the news again. This time, a poorly researched article in Spaceflight, the journal of the British Interplanetary Society, claimed that the X-37B was likely being used to spy on the Chinese Tiangong spacecraft from a nearly matching orbit. The claim was based on an incomplete understanding of celestial mechanics and was thoroughly debunked—the spacecraft cross orbits only twice a day, and even then at very high speeds. This claim is yet another effort to make sense of the X-37B. The Air Force is secretive about its purpose and budget, and observers have made vigorous efforts to come up with some mission that fits. The unique capability of the space plane—what makes it a “space plane” rather than a satellite or space capsule—is its ability to return to earth in a controlled manner and land on a runway. With the exception of the Space Shuttle (an obvious comparison, though many times bigger than the X-37B), spacecraft or equipment that needs to return to earth arrives by parachute. Even the successor to the Space Shuttle is being designed as a reusable capsule without wings, which can land on the ground or water using parachutes. For getting things into space, mass is paramount. The equipment that permits the X-37B to land like an airplane (wings, heat shielding) is massive. This extra mass requires a larger launch vehicle and makes the launch much more expensive. The extra mass requires significantly more fuel to maneuver on orbit than the craft would without re-entry and landing equipment. Because of the need for a larger launcher, the X-37B is actually not as well suited to responsive space launch as other options. are all things that can be done more efficiently or more cheaply in other ways, with a maneuvering vehicle that that is much less massive. A less massive vehicle would have reduced launch costs or increased capacity to carry maneuvering fuel. In those cases in which something needs to be returned back to earth, or if the vehicle needs to be re-used, it can be returned by parachute rather than wings. For a more detailed analysis see our earlier posts. The only unique capability we can find for a space plane is to take something up to space and bring it back to land on a runway. That’s convenient, but how much are you willing to pay for valet parking?